Brief：The Chinese government has offered strong policy support for China-Africa cooperation. "Now is the best time for Chinese private enterprises to invest in Africa," Wei Jianguo, executive deputy director of China Center for International Economic Exchanges (CCIEE), said at a seminar titled "China-Africa Investment and Opportunities" in Beijing. The Chinese government has offered strong policy support for China-Africa cooperation. The Belt and Road Initiative proposed by Chinese President Xi Jinping has brought about many opportunities in various fields, such as economy and trade, education, science and research, healthcare and culture, Wei said. In addition, the Beijing Summit of the Forum on China-Africa Cooperation to be held in September will also advance economic and trade cooperation between China and African countries, Wei added. Wei noted, as the China-Africa comprehensive strategic partnership for cooperation further develops, exchanges and cooperation between Chinese and African business communities in such areas as infrastructure, finance, green economy, trade and investment have continuously expanded. According to statistics from the General Administration of Customs, the total import and export volume between China and Africa amounted to around US$169.75 billion in 2017. Wei stressed there are a lot of latecomers that don't want to sit still and they are seeking opportunities in Africa. If Chinese private enterprises don't grasp this great opportunity to start businesses or invest in African countries in the next five to ten years, they will lose their chance in Africa. 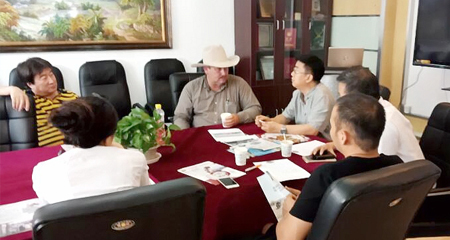 "As an old African proverb goes, if you want to go quickly, go alone; if you wanna go far, go together," Wei said. "Under the principle of mutual trust, mutual respect and win-win cooperation, Chinese enterprises are able to accomplish more in Africa." 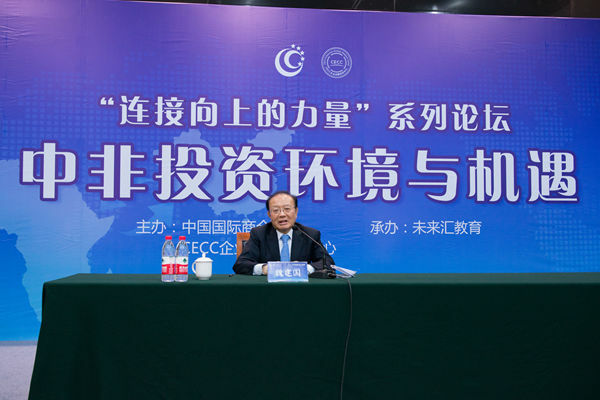 The seminar, co-hosted by China Chamber of International Commerce (CCOIC) and China Economic Consulting Corporation (CECC), aims to expand cooperation between China and African countries in economy and trade and help Chinese enterprises to better "go global."